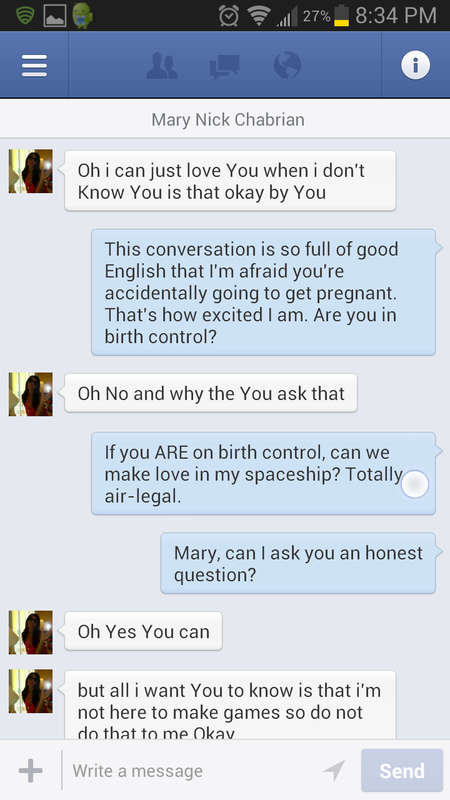 Even when you’re in the middle of a seemingly terminal bout of writer’s block and you doubt every single thing you’ve been doing narratively for at least two months (I’m speaking about a friend here, of course), the strangest thing can come along and knock you, somehow, back onto the cart. 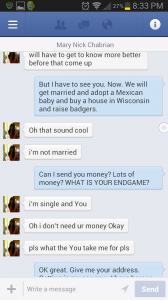 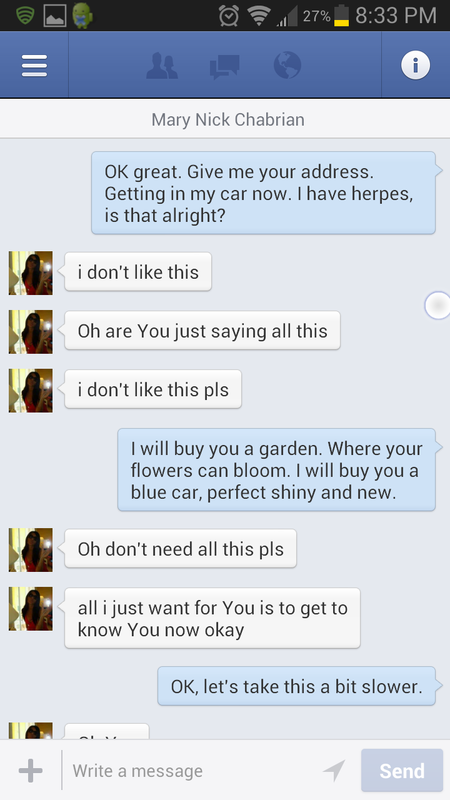 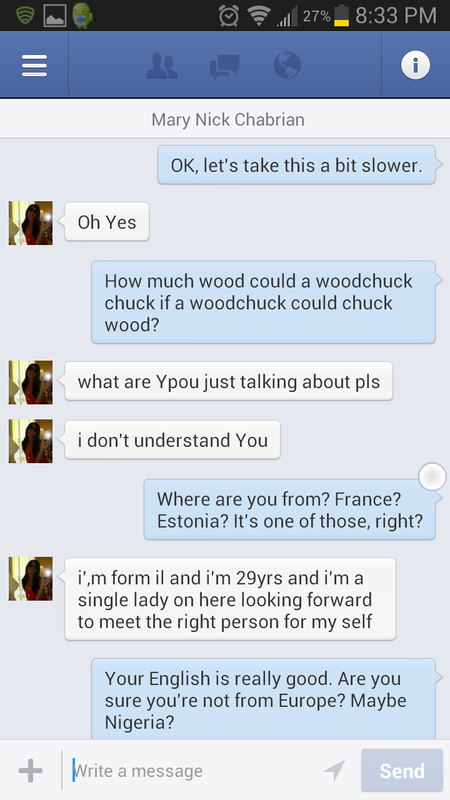 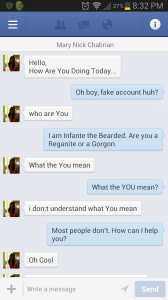 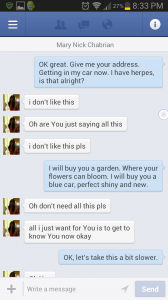 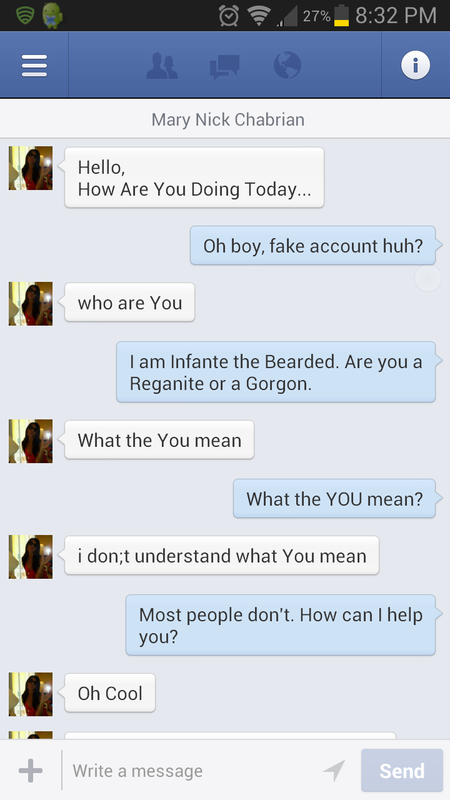 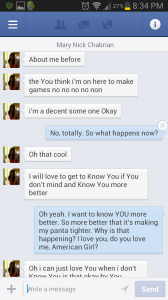 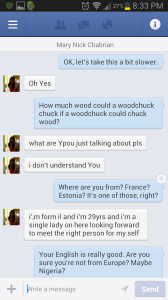 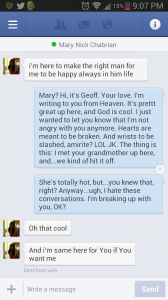 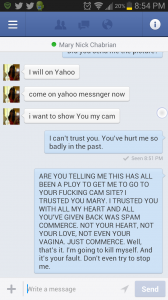 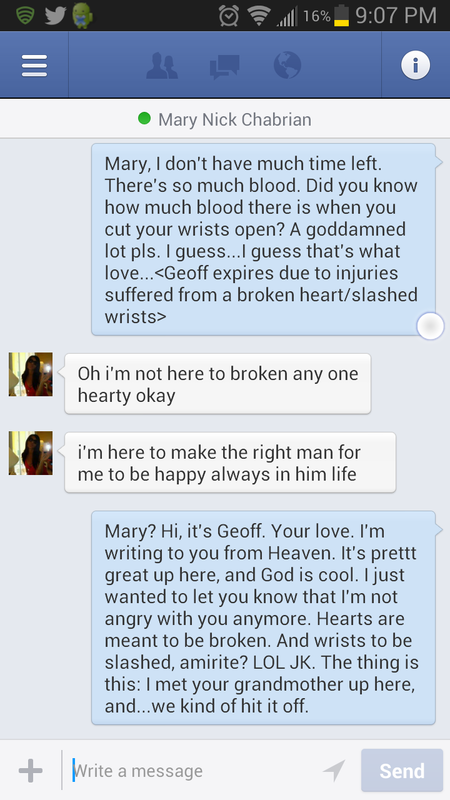 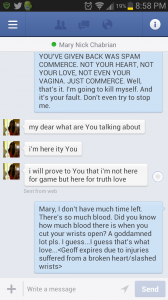 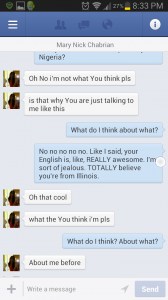 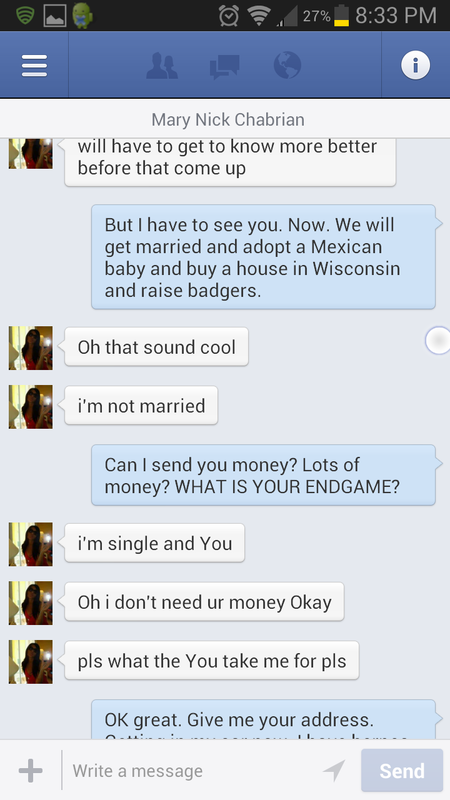 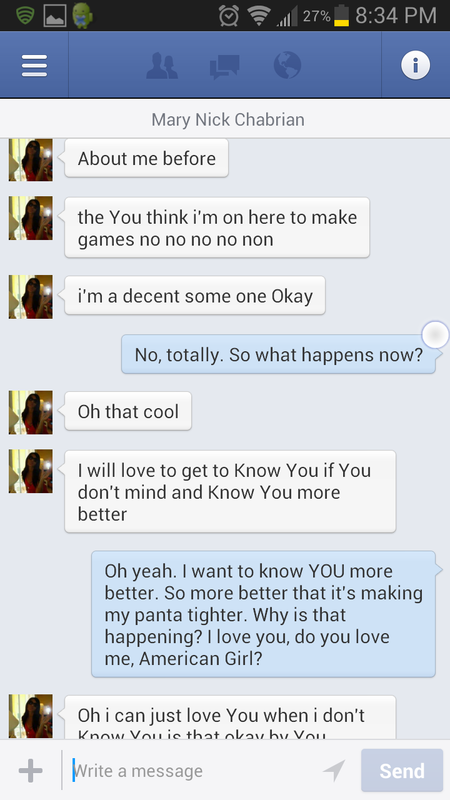 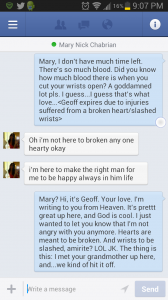 In case you missed it the other night, here’s a conversation I had over Facebook with a pretty obvious spammer. 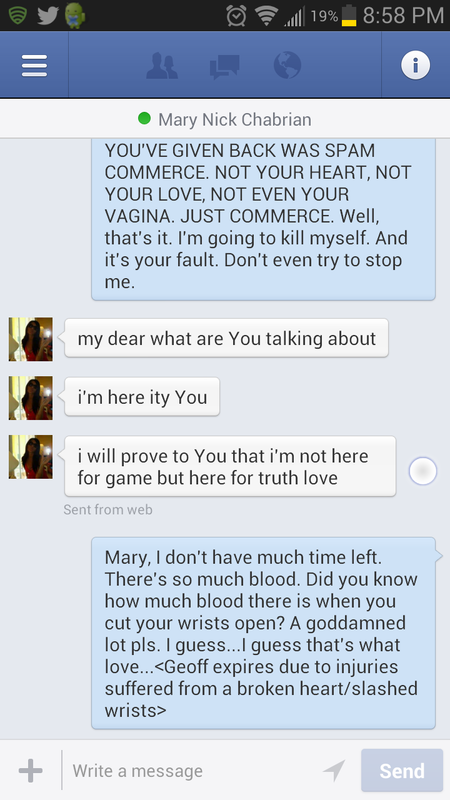 Why am I posting this? 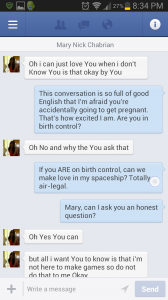 First of all, sadly, this is the best thing I’ve written in…I don’t know, months? 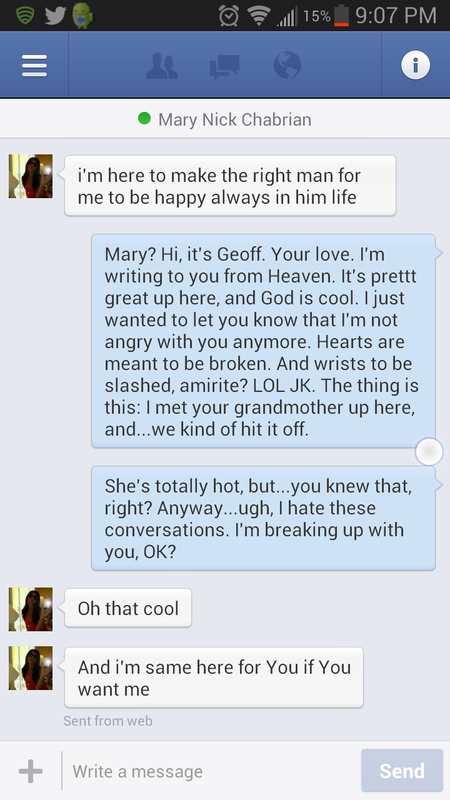 Odd how I’m on the same creatively-lacking timeline as my friend, right? 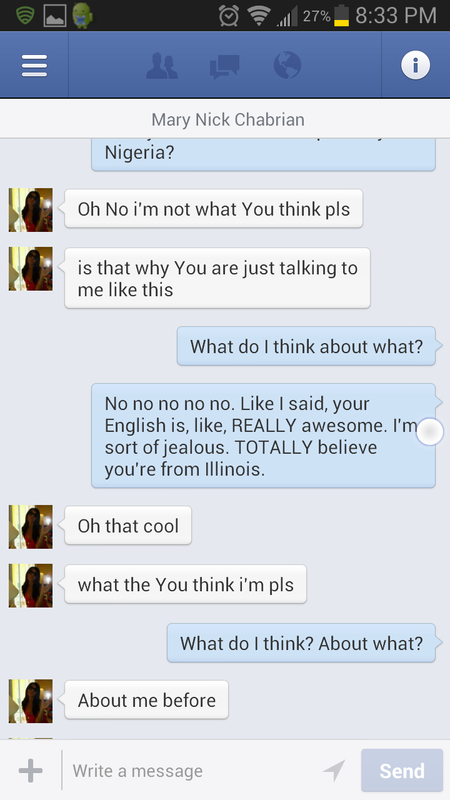 Totally wierd. 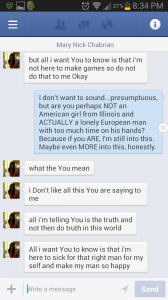 But there’s another good reason for posting it: writing is writing, and this is a good lesson that, when you’re stuck in a rut with your craft, if you just keep banging away at the keys you’ll eventually work your way out of it. 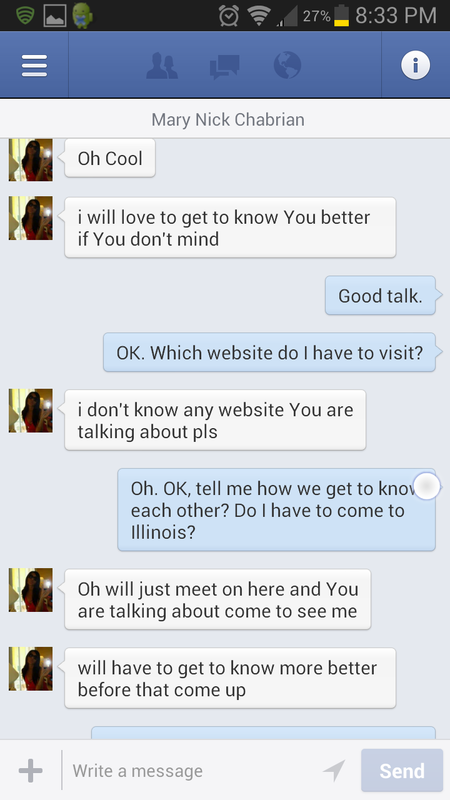 Even if it means you have to converse with someone who possess only a cursory understanding of English but will really, really, REALLY work to get you to a webcam site.